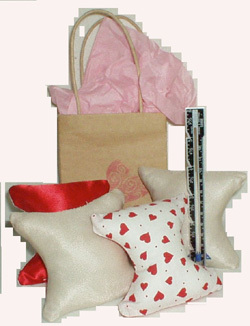 Post Surgical Incision Pillow is a small pillow, approximately 6″ tall. Inserted between the bra and the cardiac incision, it provides comfort from the bra rubbing against the incision. Comes in a print of your choice and a neutral cream-color. Two pillows per order.